Fantasy pocket knife with skulls design handle. Assisted opening knife is 8 inch open length with 3.25 inch wharncliffe blade. 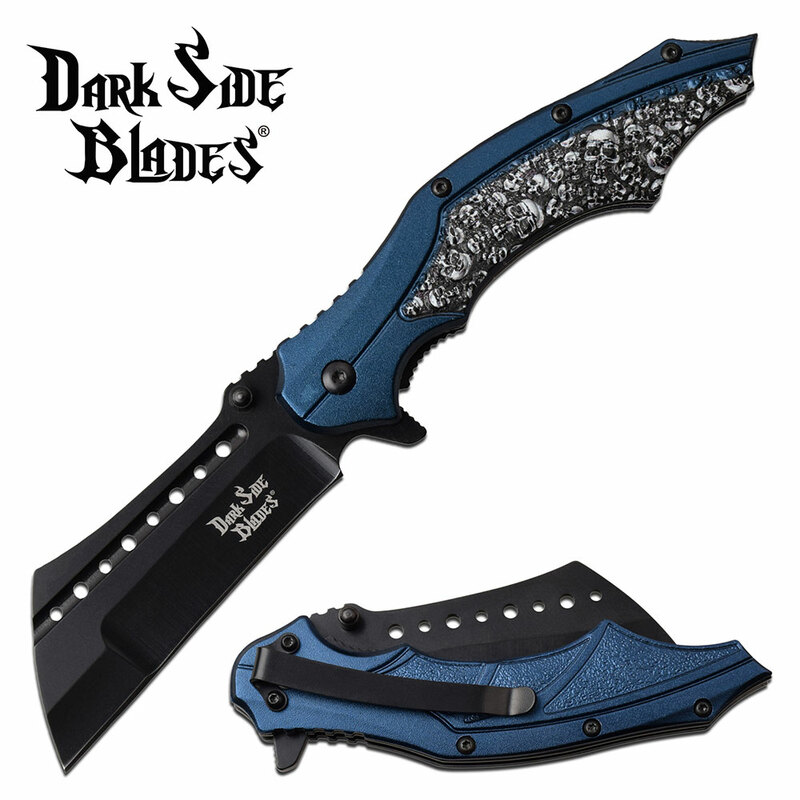 Dark Sides Blades pocket knives are cool knives with fantasy knives designs. The spring assisted knife is 8 inch overall open length with 4.75 inch skulls design handle. The wharncliffe blade is 3.25 inches long and constructed from 3cr13 steel. Includes pocket clip.